It has been said that nothing drags more stubbornly than a sack of failures. Every one of us who has breathed the air of this world knows what failure is like in one form or another. Whether it is a missed free throw, a failed relationship, a business that went south, or a devastating moral disaster that has caused deep sorrow and collateral damage, the pain from failure and loss can cut deep into the heart. For the believer in Jesus Christ, His victory over sin, death, and the grave gives to us a living hope and becomes the foundation for our worldview. With an empty tomb, there will always be hope through the Risen One. With every failure and setback we experience, the Lord gives hope and grace to begin again. In the loving discipline of God, trials come into our lives for the purpose of conforming us to the image of His Son (Romans 8:29). The Lord’s discipline is multi-faceted and masterfully applied. For instance, God brought corrective discipline into the life of David; preventive discipline in the life of Paul; and educational discipline in the life of Job. For David’s disobedience in ordering the census of Israel (2 Samuel 24), correction comes for an act which apparently was devoid of faith and grievous before God. Even Joab, who was hardly a pillar of virtue, questioned David’s decision. Nevertheless, David insisted and with it came God’s painful correction. David was given the choice of three years of famine, three months of being pursued by their enemies, or three days of pestilence. David said to the prophet, “I am in great distress. Let us fall into the hand of the Lord, for his mercy is great; but let me not fall into the hand of man.” 70,000 fell in Israel because of David’s sinful leadership. David’s affair with Bathsheba and calculated murder of Uriah did not sit well in heaven either. While God granted forgiveness to David when he repented and cried out to God for it, there were consequences and scars that he bore the rest of his life. Nevertheless, we see in David an indefatigable spirit that seeks the Lord no matter what. With the Apostle Paul, the Lord inserted a thorn into the life of Paul that was a painful hindrance to his life and ministry. The picture of the thorn was one of being impaled on a stake. Even though Paul asked on three occasions to have it removed, the thorn remained so that Paul would learn the sufficiency of God’s grace. We learn in 2 Corinthians 12 that thorn was preventive discipline to keep Paul from exalting himself in light of the surpassing revelations he had been privileged to experience. And then there is Job whose horrific trials provided insights into God’s ways that he previously had not known. At the end of it all, Job testified of his experience, “I had heard of you (the Lord) by the hearing of the ear, but now my eye sees you; therefore I despise myself, and repent in dust and ashes.” (Job 42:5,6) In other words, his painful trials instructed him in the ways of God to a depth he had never known, and the Lord blessed the later days of Job more than the former. The hope found in Jesus Christ gives the power to rise and walk in the face of life’s debilitating trials. 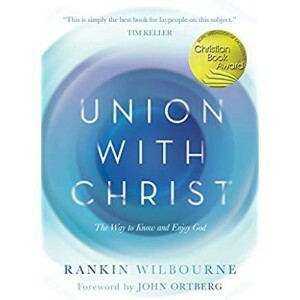 One of the most significant books I have read in recent years has been Rankin Wilbourne’s Union with Christ: The Way to Know and Enjoy God. I have given this book away on a number of occasions this year and was compelled to preach a series at FBCG on what it means to be in union with Christ. Wilbourne has helped recover a lost doctrine. Previous generations of pastors and theologians emphasized the believer’s union with Christ as a far-reaching, multi-dimensional relationship. Union with Christ refers to the deep connection that every true believer has with the Savior. The word “Christian” is found only three times in the New Testament. However, in the New Testament letters of the apostle Paul, the phrase ‘in Christ’ is used around 165 times. So may we find fresh encouragement to follow in the marks of His wounded feet, forgetting what is behind, and pressing on to the high calling of God in Christ Jesus.